Photo by the New York World Telegram and Sun. I grew up as a young girl in a small town in Southern Colorado. There, we were one of very few Hispanic families, and I was extremely aware of how different I was—my dark brown, almost black hair, stood out like a sore thumb amongst the sea of light brown and blondes around me. My first encounter with overt racism came secondhand, as I watched my brilliant, high achieving older brother being continually snubbed for the National Honor Society, despite meeting all the criteria for inclusion. In fact, my brother served as a peer tutor to a handful of students who then were elected to the NHS while my brother was not. Although my mother was careful not to call what was happening “racism,” we all knew the only reason he wasn’t elected was because he was Hispanic. Our suspicions were confirmed when someone in the school located a file of Hispanics selected to NHS and relayed that there had never been a Hispanic inducted, despite a handful having been nominated. A local newspaper became involved, alleging racism, and my brother was finally inducted his senior year, after the news story and attendant controversy. My mother was accused of “using the race card” in anonymous letters to the editor in our local community newspaper, and the incident went unacknowledged by the school. I was never prouder of my brother than the day he stood at his high school graduation, giving his Salutatorian speech and acknowledging the difficulties he had faced and overcome. From that point on, I was highly sensitive to racial issues and microaggressions. I carried anger and frustration for a long time, until college, when I took my first cultural diversity course and was able to name what had happened to my family. My passion for cultural diversity, awareness, and education became greater as I realized how many people have suffered from racial indignities. I made it my mission to help eradicate racism and hatred whenever possible. It started with simple things like letting people know that certain commonly used phrases were actually racial slurs. I used any opportunity I had to educate. This, of course, has not come cheaply. Any discussion about racial issues can be tense, heated, and difficult. Pointing out microaggressions and privilege can be challenging because others can be defensive, hurt, and angry. It takes courage to stand up to racism because the price one can pay is significant. In the aftermath of tragedies like the Trayvon Martin shooting, racism becomes a hot topic, and there is a lot of discussion but the discussion eventually dies down until the next incident. That ought not be the case. While not every community has a Trayvon Martin, many have plenty of kids just like my brother. Kids who work hard to achieve and are held back by nothing more than the color of their skin. Those of us who recognize this have a duty, an obligation, to refuse to be silent. To call racism what it is. To be the voices for those who can’t speak for themselves. To be the force that stands against the indignities that people of different races and cultures face. To be allies. 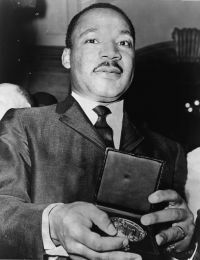 Dr. Martin Luther King Jr. once said, “Life’s most persistent and urgent question is what are you doing for others?” It is that question I ask of my readers and myself today. What are we doing to keep the march for human and racial dignity going forward? What more can we do? Sue, D. W., Capodilupo, C. M., Torino, G. C., Bucceri, J. M., Holder, A. M. B., Nadal, K. L., & Esquilin, M. (2007, May-June). Racial microagressions in everday life. American Psychologist 62(4), 271-286.